Now we know that our new AC3200 Ultra Wi-Fi Router (DIR-890L/R) has been getting quite a bit of attention lately for its crazy (good) looks but we want people to know this router has a lot more than just beauty, it’s got some serious brawn too. In our last blog, we discussed Tri-Band Wi-Fi and its benefits to households with lots of connected devices. Another great feature on the AC3200 is Smart Connect Technology. With Smart Connect technology the name is somewhat self-explanatory. When connecting a new device to your router, Smart Connect can intelligently identify the device, decide what band would provide it with the best possible connection, and connect it to that band. This helps in two ways. First, it takes the guess work out of connecting your devices to the appropriate Wi-Fi band, since it’s not always easy to determine what band is best. Many people assume the 5GHz band is always better since it provides less interference for high-bandwidth activities like streaming and gaming. But when it comes to devices like older generation phones and tablets, connected home products and Wi-Fi Cameras, the 2.4GHz band is often the better choice, so you can save the faster 5GHz bands for the devices that really need it. The second benefit to the Smart Connect feature is that it will continue to balance the amount of devices in all 3 bands every time there’s a new device added to the network, ensuring that one band isn’t getting overloaded while the other two are completely empty. With a Tri-Band router like the AC3200, Smart Connect is a big help in that you only have one SSID for all three wireless bands. Without Smart Connect, you’d need to create three different SSID’s, one for each band, and have to remember what devices you have on each so that when you connect a new device you’re not adding it to the same band every time. Without Smart Connect you could easily end up with multiple devices on one band while the other is completely empty and have to manually go into your router’s interface and move devices around or disconnect them from one band and reconnect to the other. 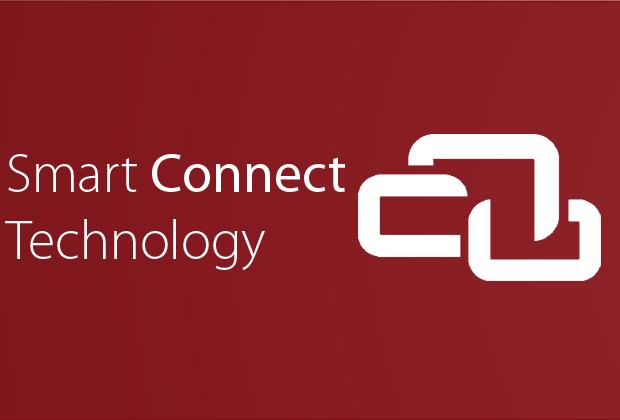 Smart Connect ensures each device starts off with the best connection with the least cluttered band and its built in algorithm continues to balance new devices, ensuring lag free performance by moving devices between bands. It simply makes connecting devices and maintaining quality performance automatic so you don’t have to worry about it. 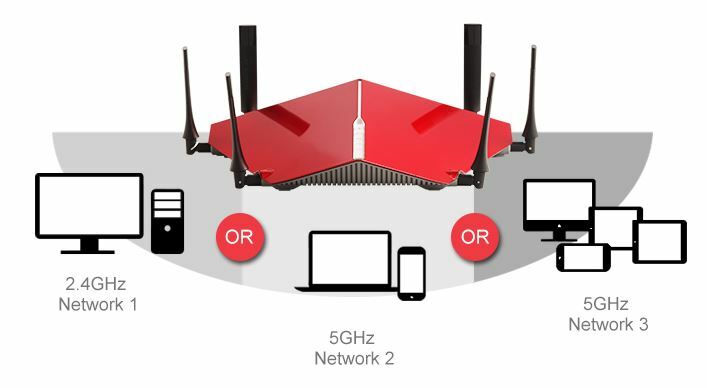 For more info on the AC3200 Ultra Wi-Fi Router click here.